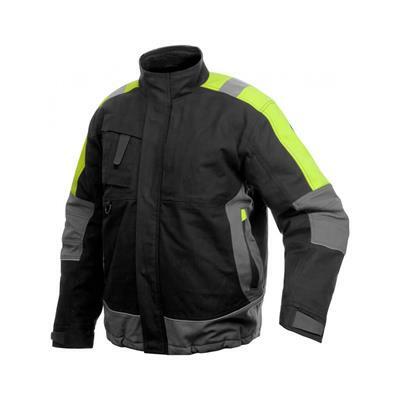 Projob 5411 Lined Jacket with Fleece Collar, drawstring waist and snap closures. Pre-bent arms with fluorescent reflector strips on both shoulders and adjustable cuffs. Zippered side pockets. Two breast pockets with room in right side for keys, mobile, etc.